Cooling shirts are a water cooled PPE for working in heat. They are used by industrial workers, athletes and medical professionals for comfort and to avoid heat illness. The shirts have a system of narrow tubes which circulate cool water through an ice pack. There are mobile and stationary types, offered by many manufacturers. Listen to this podcast to hear the costs, names of manufacturers and what OSHA thinks of these Auxiliary Body Cooling systems. Dan Clark: Do you work where it’s hot? Sometimes you wish you had ice running through your veins. Well, that’s not possible. But how about through your SHIRT? Hello, I’m Dan Clark of The Safety Brief. This is where we talk about health and safety hazards in today’s demanding industrial and construction worksites. Your personal protective equipment is meant to protect you. Sometimes, though, it can cause an additional hazard. Extra layers of clothing make you susceptible to heat illness. The solution: clothing that cools you. OSHA calls the category Auxiliary Body Cooling. These are a unique type of PPE that can pull the heat out of a worker. 1. ICE VESTS – Some hold up to 72 ice packets, and some can use dry ice. 2. WETTED CLOTHING – This is cheap and easy. Get the shirt wet, wring it out, put it on. Let evaporation do its thing. 3. AIR CIRCULATING – This is the most expensive and complicated. It blows air through a closed loop of narrow ducting beneath the outerwear. 4. COOLING SHIRTS – A garment with attached tubing which circulates coolant. This is the system we’ll focus on today. What are cooling shirts? Short or long sleeve shirts covered in coils of medical grade capillary tubing that move cold water over the surface of the shirt next to the skin. The tubing is connected to either a portable or stationary cooling system filled with ice. * Mobile waist packs and backpacks give cooling from a half an hour to two hours. * Stationary coolers can be hooked up to many workers at once. * COOL SHIRTS through Cool Shirt Systems. * F.A.S.T. (fast) Fresh Air Systems Technologies. * The Personal Cooling Shirt from Ultra Chiller. And these companies sell clothing to industrial workers, athletes, race car drivers and medical professionals. Many of these products can be washed in a washing machine and dried in a dryer. OSHA gives a thumbs up. 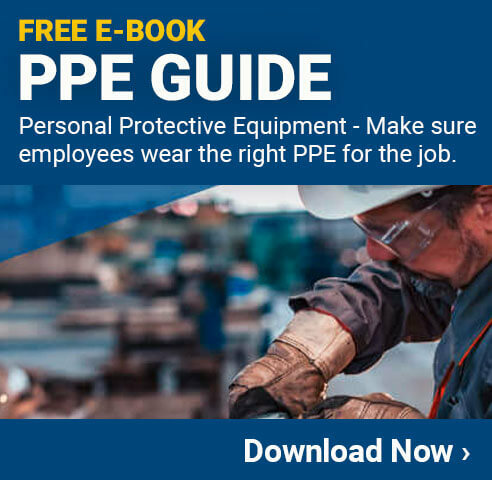 Auxiliary Body Cooling is an effective PPE to reduce the chances of heat illnesses. Be ready to get out your wallet, though. Cooling shirts start at $100.